Christmas is less than a month away! 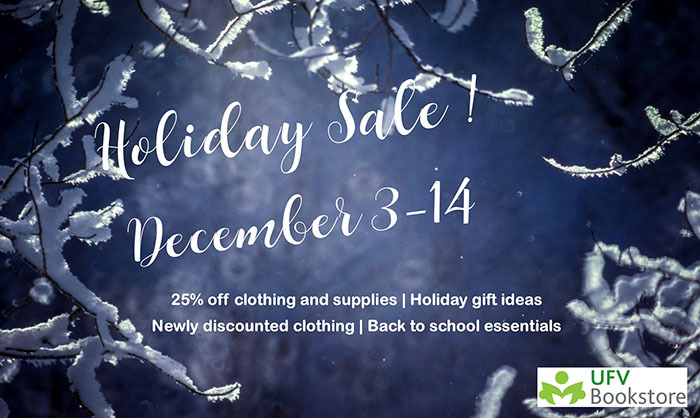 We’re having a holiday sale at the UFV Bookstore. Supplies, clothing, and gifts are 25% off now until December 14th! A few exceptions apply. You can visit us at both our Abbotsford and Chilliwack locations.